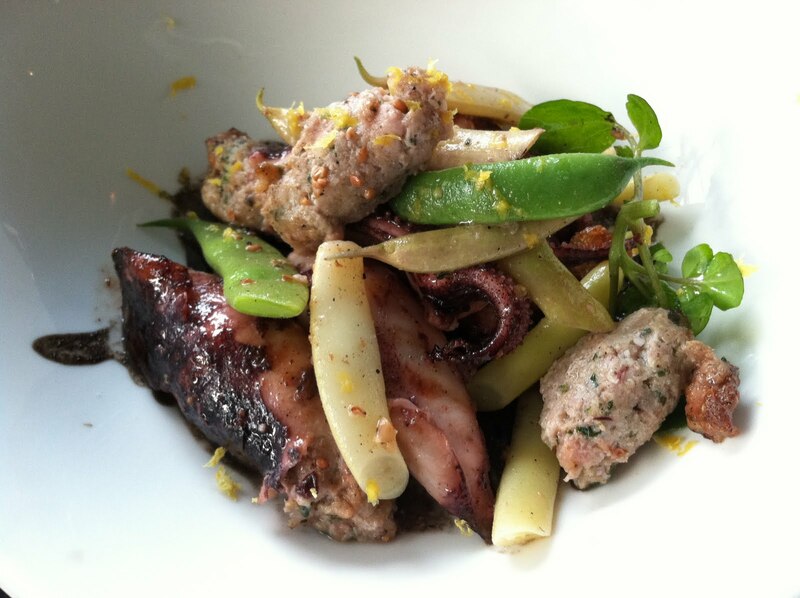 Savory squid with a delicous chorizo filling, Allstar Organics wax beans, yuzu vinaigrette and lemon. Whenever I see chorizo on a menu, I immediately assume that the dish will be heavy and greasy. Not so! This dish was so light and refreshing from the yuzu vinaigrette and lemon. The bicolored wax beans also added brightness, and the chorizo filling wasn’t at all dense or heavy. This dish is a winner in my book! Served with quail egg, yuzu foam, toasted brioche points and chive garnish. 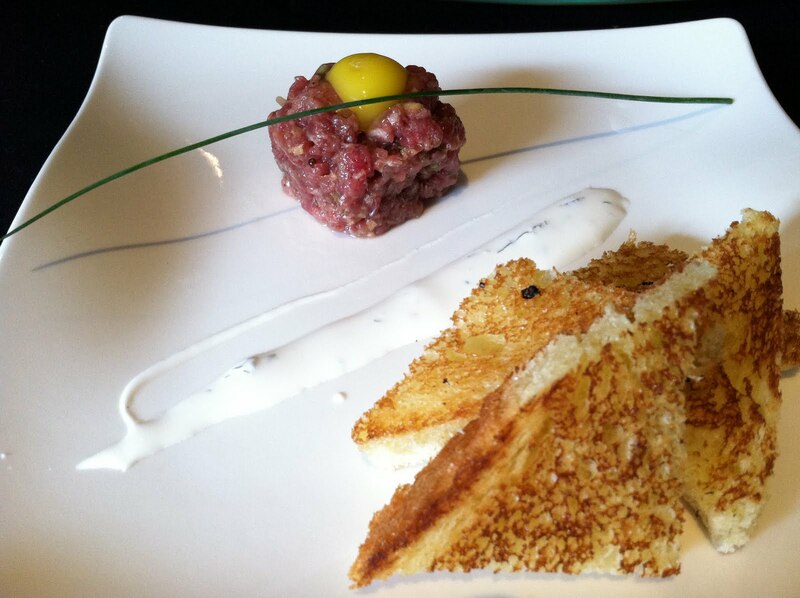 At first glance, the amount of beef tartare seems pretty small in this dish, but between the buttery brioche, quail egg, and rich sauce the small amount is plenty for an appetizer.